Hostel BEogradjanka is located at the cross road to any destination in Belgrade, and situated on the border of Stari Grad and Vracar district, which are the most beautiful areas of Belgrade. CONNECTION TO THE HOSTEL: Airport Shuttle Bus station is located only 5 minutes walk from Hostel at famous Square Slavija. International Central Bus and Central Railway Station are only 2 tram ( number 7 or 12) stations to reach us (get off on station named Beogradjanka) and the hostel is located diagonally from that tram station on the other side of the street. If you are coming by car, there is private parking only 150m from hostel where you can rent 24h spot for 2145 dinars or approximately 17,5 euros (Saturday from 14pm and Sunday all day parking is free on the street). Go by taxi from the Airport to our hostel (address Resavska 34 ). Agree on a price of 1600 dinars (approximately 13,5 euros) with the cab driver – by law this is the fee from the airport to anywhere in the city centre – inform them that you know this before hand and agree on that price and there will be no issues. Either way you can always ask our staff to make reservation of the taxi for you noting that in Additional Note box when you make reservation, or when you contact us. 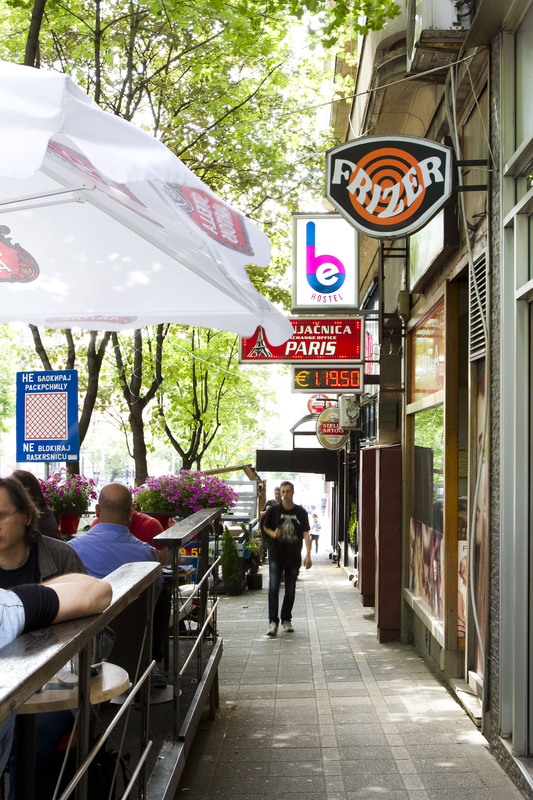 ATTRACTIONS: Belgrade Central Square is 15 minutes walk from hostel. Beautiful Tasmajdan park only 3 minutes and Saint Sava Ortodox Church only 10 minute walk from hostel. Kalemegdan Park and Fortress famous for junction of the Sava River and the Danube River is located 25 minutes walk. All these attractions are reachable by trolebus of any number that stops at the station located 10 meters from hostel every 2 minutes. Museums are in the range of 5-20 minutes walking distance, and our recommendation is Museum of Nikola Tesla only 5 minutes walk from hostel. We will make your stay in Belgrade memorable and will want to come back every time with us. With us you get a loyal friend who is always ready to accommodate you and left you to meet.